The idea of a “living bridge” calls into question two distinct definitions: “living” and “bridge;” what exactly about this structure is alive or for the living, and what is it bridging over? The idea of a bridge is a structure that passes over something, because it is inconvenient or in the way of the path or procession towards something else. More often than not - and in this case this also remains true - bridges are used to cross over an otherwise difficult-to-cross body of water. 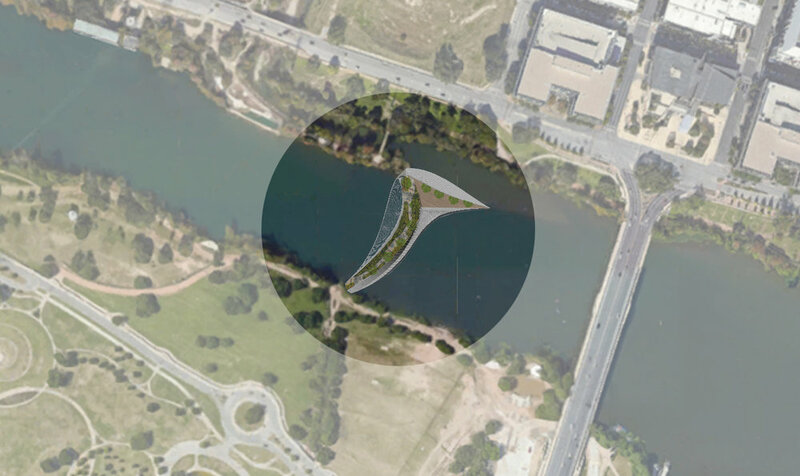 This project creates a pedestrian connection from the peninsula at the outlet of Shoal Creek into Lady Bird Lake to the Stevie Ray Vaughan statue at Riverside Park, but also envisions a place to be for others who are often seen as inconvenient or in the way – the homeless.